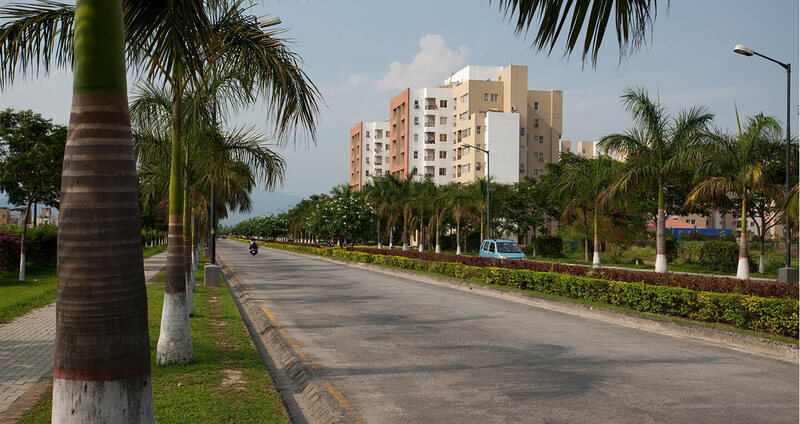 The Residency is group housing located at the entrance to the Uttorayon Township in Siliguri. 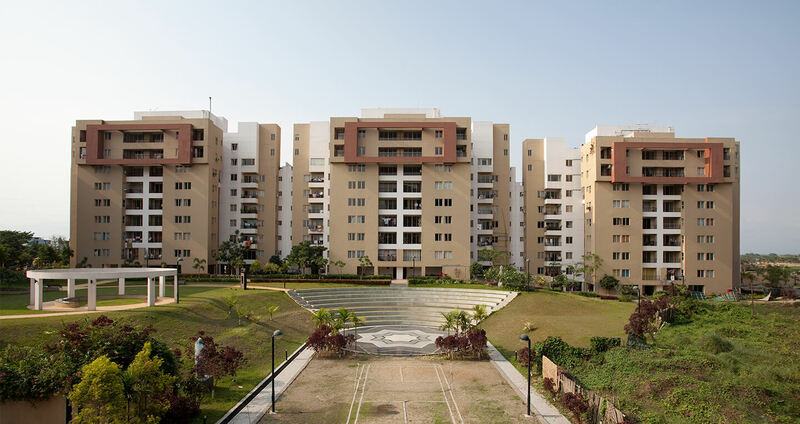 It is developed on a site of approximately 10.5 acres with a total of about 450 units housing over 2000 people. The housing developed is of two types; a medium-rise strip that sits on the edge of the plateau and a low-rise court-cluster formation that covers the rest of the site. This offers multiple choices for the design of the apartments, to optimize the views available, and create through design multiplicity in community character, relationship with ground and apartment sizing. 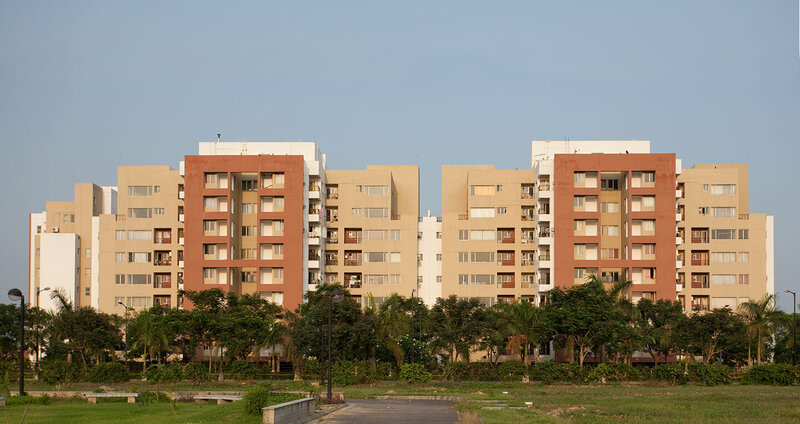 A series of landscaped green reserves weave through the housing culminating in a large open green area situated at the eastern edge of the site. A small club with recreational facilities sits at this end. All units are planned for cross-ventilation owing to the warm-humid climate of Siliguri. Special attention has been paid to easy and efficient serviceability of the apartments; infrastructure networks laid on the site are made efficient to achieve economies of construction cost and maintenance. 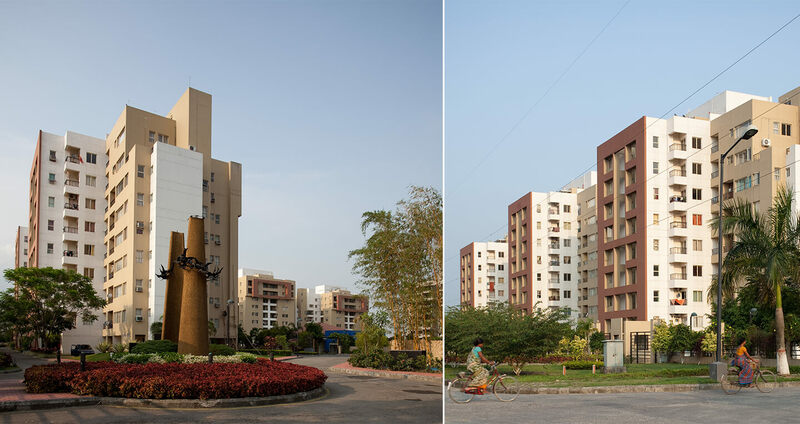 This project is intended to act as an exemplar to provide a socially and ecologically sustainable developmental model for residential development.